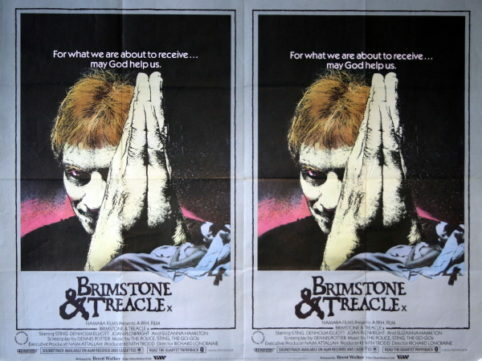 “An intriguing fantasy of angelic innocence and devilish passion”…Rare and original UK Quad for Dennis Potter’s 1982 psychological thriller “Brimstone and Treacle”. Originally folded this looks and displays very well with fantastic imagery (of Sting), great colours and simple design. 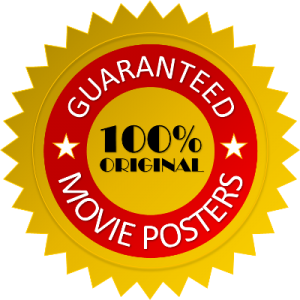 This originally seemed an unusual choice of role for The Police’s lead singer Sting, (who incidentally also sang the title song “Spread A Little Happiness”) however he proved critics wrong as he turned in a particularly disturbing performance as the devilish Martin Taylor. 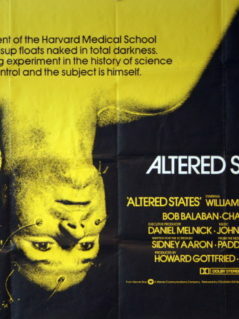 Brilliant allegorical drama from writer Dennis Potter and director Richard Loncraine. It is the fascinating tale of a young man, Martin Taylor (Sting), who — to quote Denholm Elliott, “may be the Devil himself” — manipulates his way into the home and trust of an ageing, embittered couple (Elliott and Joan Plowright) who “live in the shadows” after their daughter is injured in an accident and rendered mute. In a suggestion of Taylor’s origins, the smarmy slimeball emerges from a church in one early scene and behaves like he’s being physically assaulted when the bells begin to toll. Although his actual origins remain ambiguous up until the explosive, surprising climax, Loncraine and Potter have lots of fun keeping us guessing.